Graco 286425 RAC 5 SwitchTips, .025 Orifice Size. Reverse-A-Clean SwitchTips. 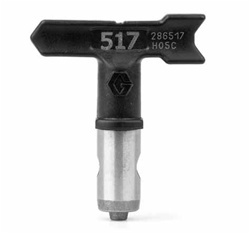 RAC 5 SwitchTips are high-performance tips and the #1 selling tip on the market today. RAC 5 provides excellent fan pattern life and a high-quality finish.